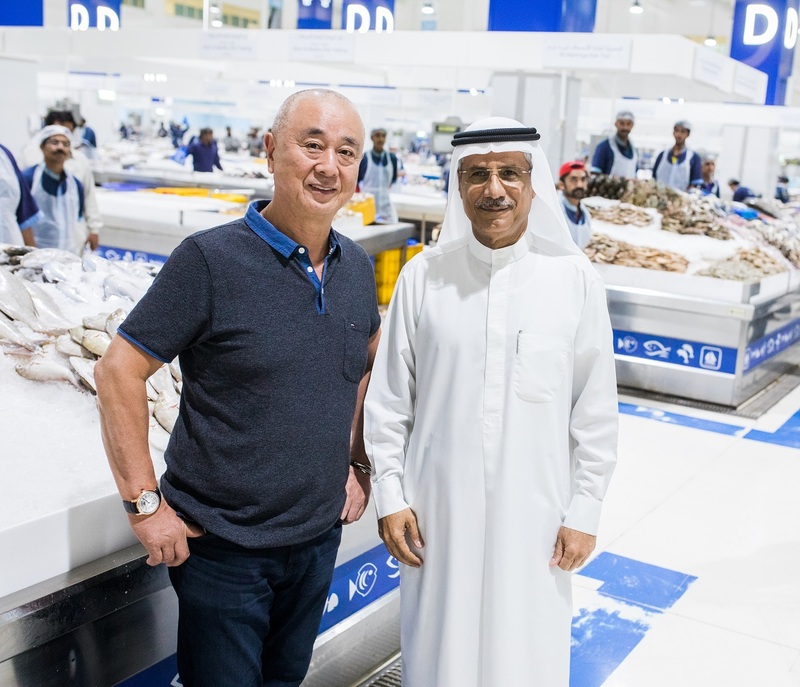 One of the world’s most celebrated celebrity chefs and restauranteurs, Noboyuki ‘Nobu’ Matsuhisa, more popularly known as ‘Chef Nobu,’ recently paid a surprise visit to The Waterfront Market in Deira,–visiting and seeing first hand its fresh and diverse range of products. The successful visit of Chef Nobu demonstrates Waterfront Market’s growing popularity among celebrity chefs. The Waterfront market’s fresh and diverse range of products continue to attract leading chefs from around the world. Celebrated chefs who have visited the destination have expressed all praises for the Waterfront Market–lauding its cleanliness, presence of a wide range of offerings and strategic location. The positive response received for the Waterfront Market further complements Dubai’s position as one of the world’s leading culinary havens, widely competing with great restaurant cities like Paris, London, New York and Tokyo. Hailed as the mastermind behind the Japanese, Peruvian restaurant chain, Chef Nobu has become a worldwide brand in his own right. The Michelin star chef’s unique fusion of Japanese and Peruvian flavors has helped boost the popularity of his restaurants, which can be found across 33 outlets around the world including Atlantis, The Palm in Dubai. Chef Nobu is credited with helping make Japanese cuisine more accepted today–backed by his artful mix of traditional-meets-modern cuisine to create unique and memorable dining experiences. Japanese cuisine continues to be a thriving global industry with Dubai being one of its ultimate promising hubs.